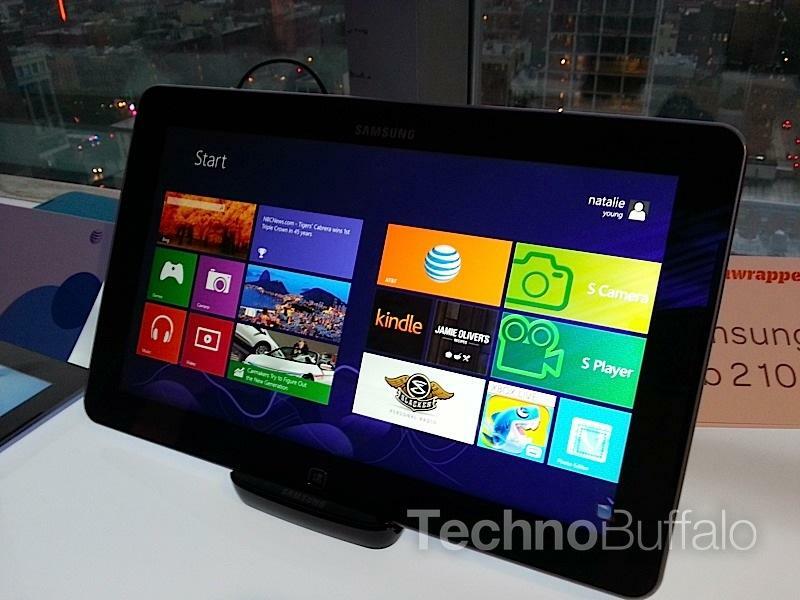 AT&T announced Monday morning that it will begin selling the Samsung ATIV Windows 8 smart PC and the Galaxy Tab 2 10.1 beginning on Nov. 9 for $799.99 and $499.99, respectively. The carrier said that anyone who purchases any Galaxy-branded smartphone for a limited time will receive up to $100 off of another connected Samsung device. The Samsung ATIV smart PC is equipped with an 11.6-inch HD PLS display, 64GB of storage, a dual-core Intel Atom processor, a microSD card slot, a trial version of Microsoft Office 2010 and Windows 8. The Galaxy Tab 2 10.1 offers a 10.1-inch screen, runs Android 4.0 Ice Cream Sandwich, has a 7,000mAh battery and more. Both tablets will be available from AT&T retail stores and online. ATIV is Samsung's brand for Windows 8 products including Smart PCs, tablets and Windows Phone 8 forsmartphones. Samsung will continue to announce ATIV products to provide advanced, productive and creative experiences. "We are excited to offer the Samsung ATIV smart PC in stores nationwide ahead of the holiday shopping season," said Chris Penrose, senior vice president, AT&T Emerging Devices. "Connected by the nation's largest 4G network, this Windows 8 tablet gives customers optimized touch interface, instant live tile updates and PC capabilities." AT&T customers have access to the nation's largest 4G network, covering 285 million people. AT&T has two 4G networks that work together for customers, LTE and HSPA+ with enhanced backhaul. That means AT&T customers are able to enjoy a widespread, ultra-fast and consistent 4G experience on their compatible device as they move in and out of LTE areas.5 With other carriers, when you travel outside of their LTE coverage area, you may be on a much slower 3G network.